As the 1950’s headed towards the 1960’s songwriter Berry Gordy was doing nicely from his connection with singer Jackie Wilson (Berry wrote “Reet Petite”, “Lonely Teardrops” & others) while having a shrewd eye on the business of music through an involvement with talent he found in his hometown Detroit. His Tamla label released its first disc in 1959, the Miracles’ “Shop Around” became its first million seller the following year & the Motown Record Corporation would soon stake a claim to be “the sound of young America”, as big an influence on the decade’s popular music as the British Beat explosion. We all know the great stars signed to the label, Marvin, Stevie, Diana & the Supremes, the Four Tops, the Temptations. There were plenty of other acts who benefited & contributed to the Motown sound. That driving beat of the house band, the Funk Brothers, matched to a melodic & lyrical acuity & urbanity placed African-American music firmly in the Modernist movement of the decade. Pop Art…you betcha! Junior Walker, a saxophonist, a little older than the others, never really adhered to the Hitsville formula but he & his All Stars enjoyed much success because their distinctive, individual style was pretty irresistible. 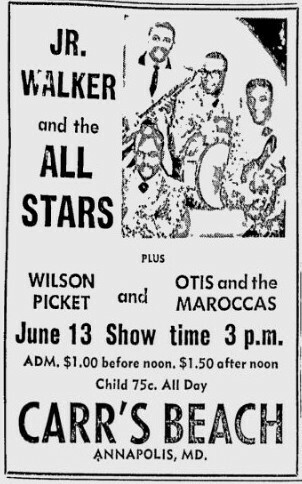 Junior Walker, born in 1931, was playing in bands in Battle Creek, Michigan, 120 miles east of Detroit, in the mid-1950s. The All Stars played both kinds of music, the Rhythm & the Blues, tenor sax playing Junior being influenced by the Jive of Louis Jordan & the Jazz of Illinois Jacquet (great name). The band signed with Harvey Fuqua, a singer turned label head, whose hits with the Moonglows, the classic “Sincerely” & the extra classic “The 10 Commandments of Love” were as good as Doo Wop got. Harvey was Berry Gordy’s brother in law & when he joined the family company he took his roster with him. The second 45 issued under the growing Motown umbrella found Junior Walker & the All Stars at the top of the R&B charts & in the Pop Top 10, a list that was pretty much all British Invasion & Tamla. On “Shotgun” (coming up later) the band were augmented by a Funk Brothers backline, including the peerless bassist James Jamerson. 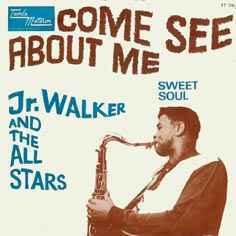 It’s a Soul Explosion, the honking sax, call & response vocal shouts & a demand that you dance urgency is the trademark of Junior Walker & the All Stars. Gritty is not the adjective most associated with Detroit at this time, these guys were, they found an audience & Motown let them do their thing. “(I’m A) Roadrunner”, the 4th Top 10 R&B 45, was written by ace team Holland-Dozier-Holland, another injection of Soul adrenaline, a super smash. King Curtis & Cannonball Adderley were masters of Soul/R&B saxophone & Junior Walker was not only just as groovy but his records were a whole lot of fun. The major influence of the label on the artist was to point him towards the cupboard where they kept their back catalogue. First, in 1966, Marvin’s “How Sweet It Is (to be Loved by You)” & “Money (That’s What I Want)” were Walkerfied. The following year H-D-H’s hit for the Supremes, “Come See About Me” was given a gutbucket revival, guaranteed to pack out any dancefloor anywhere. In the UK Junior Walker was a major Mod favourite. His records may not have made Top of the Pops but were played on the pirate radio stations & were essentials for any DJ in clubs (in my case youth clubs) all over the country. The ones already checked, “Shake & Fingerpop”, “Pucker Up Buttercup”, the killer “Shoot Your Shot”, it’s becoming a list & we knew them all. In 1969 Walker & his producer Johnny Bristol, an ally since before Motown, changed it up & had a big success. “What Does It Take (To Win Your Love)”, written by Bristol, Fuqua & staffer Vernon Bullock, was recorded in 1968 for the “Home Cookin'” LP & released with some reluctance by the label. It’s slower paced, the edges are smoothed, the vocal more featured & it sold a million. Followed by a fine cover of the Guess Who’s “These Eyes” this new style kept Junior in the game, away from the golden oldie circuit in the new decade. Junior Walker came out of the Jumping Jive R&B tradition & found his place in Soul music. He had international success with his records & the evidence is that his live shows were not to be missed. 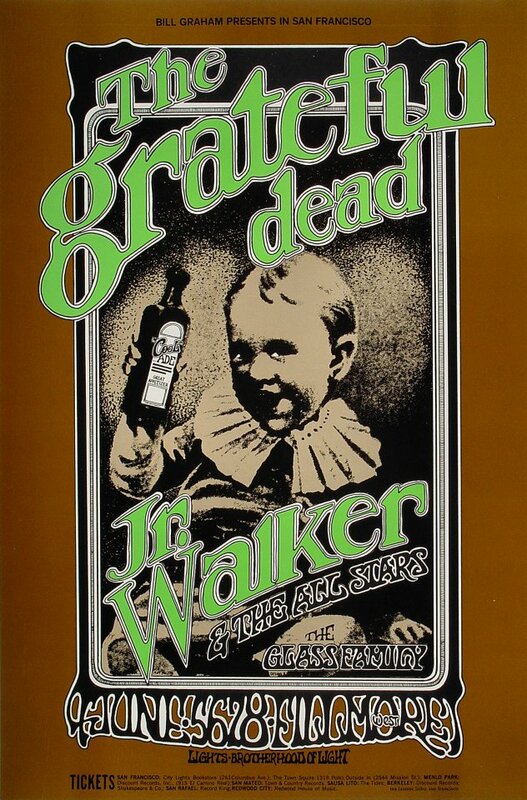 If, in June 1969, you were at the Fillmore West in San Francisco for the All Stars/Grateful Dead double bill then I am jealous. The group were regular, popular visitors to the UK & this clip (in colour!) of their 1967 gig at the Ram Jam Club, you know it, on the Brixton Rd, above Burton’s & the gas showroom, yeah you know, is just wonderful. 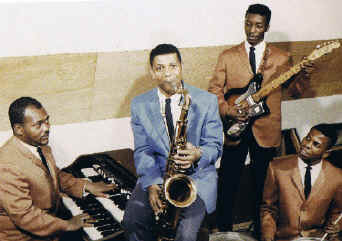 Junior & his band, Willie Woods, guitar, James Graves, drums & Vic Thomas, organ, (bassist unknown) blow up an absolute storm. If I ever get this time machine finished then look out for me in the audience the next time you watch this lovely thing. Right here are the Chairmen of the Board on the Soul Train promoting “Finder’s Keepers” the lead single from their 1974 album “Skin I’m In”. The trio, General Johnson, Danny Woods & Harrison Kennedy, were being helped out by some friends. On keyboards it’s Bernie Worrell (that’s the great…) & on bass there’s Billy “Bass” Nelson (again that’s…), a couple of Funkadelics taking time out to be on the telly. It’s a rare treat to see drummer Zachary Slater, McKinley Jackson (trombone) & the multi-talented Donald Baldwin (guitar). These guys were busy being part of the house band at Invictus Records & didn’t get out of the studio much. The Chairmen were having a good 1970’s. They hooked up with Holland-Dozier-Holland when the greatest hit makers of the decade left Tamla Motown to form Invictus/Hot Wax Records in 1969. General Johnson’s teenage group, the Showmen, had a hit with the marvellous “It Will Stand”. This time around he was ready to make his contribution. The label had big hits with “”Want Ads” by Honey Cone & Freda Payne’s “Band of Gold”. General J co-wrote the former & had songs ready for Freda’s albums. Contractual folderol with Motown meant that H-D-H had to employ the pseudonym “Edith Wayne”, they, with Ronald Dunbar, provided the Chairmen of the Board with “Give Me Just a Little More Time”, a smash hit debut. The group continued to make uptempo Pop-Soul records in the tradition of the label owners’ previous employers. All of them raise the spirits & make you dance. If anything they were more popular in Britain than in the US. The General became a producer & all three Chairmen got to make their solo albums. For the group’s 1972 LP “Bittersweet” he co-wrote all but one of the songs. Two years later, for “Skin I’m In”, others in the Invictus posse added their talents. Jeffrey Bowen came over from Motown where he had written for Marvin Gaye & produced the Temptations to be Vice President of the new label. He was given the tapes which were to become “Skin I’m In” & set about creating a whole new sound for the Chairmen of the Board. George Clinton’s psychedelic Funkateers were signed to Westbound Records while recording for Invictus with Ruth Copeland & under the old Parliament name. Bernie Worrell added layers of synthesizer, Billy Nelson co-wrote a couple of tracks with Donald Baldwin, a classically trained musician/arranger, a protege of Bowen’s who was proving to be very useful. Funkadelic guitarist Eddie Hazell was around too. The released LP, influenced by the Psychedelic Soul of Sly & the Family Stone & the Temptations, the new Funk of the Isley Brothers & Earth Wind & Fire is damn near a masterpiece. The “Finder’s Keepers” clip shows Danny giving Ronald Isley a run while the band races, bubbles & has some fun. “Life & Death” is a suite, a Sly Stone joint linked by two Bowen/Nelson pieces. It’s Prog Funk, in a good way, & it’s amazing. Bernie Worrell’s work on this sits with stuff like this he did for Funkadelic & Talking Heads. The 9 tracks continue to surprise & delight. “Skin I’m In”, like the previous year’s O’Jays LP “Ship Ahoy”, displays the expanding range & ambition of Black American music. Both deserve to be considered alongside albums that are more highly regarded. We have some time left here so let’s end with one of the classic singles that the Chairmen of the Board are remembered for. I’m spoilt for choice here so it’s “Pay to the Piper” for no other reason than it’s irresistible. In March 1965 a series of 6 four track EPs marked the establishment of the Tamla Motown label in the UK. Previous releases had been through London American, Fontana, Oriole & finally Stateside. The assembly line at Hitsville USA in Detroit was sustaining 5 subsidiaries, Tamla, Motown, Gordy, Soul & V.I.P. The same writer/producers, the same musicians, a unique & successful operation, “the Sound of Young America”. There were 43 singles on the new label in the first 9 months. They couldn’t all be chartbusters, weren’t all by the great stars of the roster. Sometimes it took a little longer for the record buying public to catch on to some of the gems from Tamla Motown. 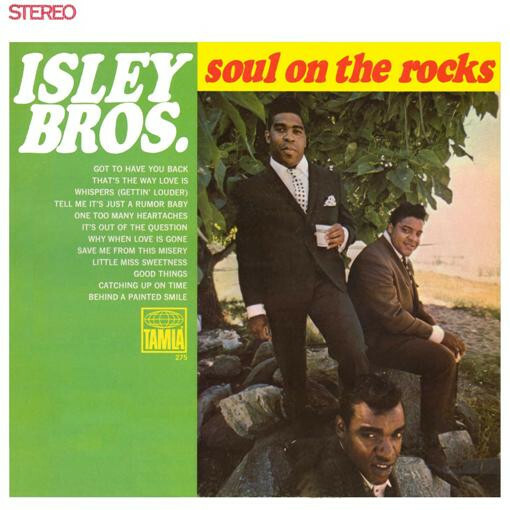 “This Old Heart of Mine” by the Isley Brothers was the #1 record of my youth club years (that’s the ones immediately before I could get served in pubs). The debut Motown release for the Brothers, January 1966 in the US, March in the UK, it was their only Top 20 hit in the US for the label & scraped into the Top 50 over here. If you were not already out on the floor then you certainly were before Ronald started singing. Over two years later the song was still being played in the great Soul/Ska sets I attended in the upstairs rooms of bars. A re-release saw it become a Top 3 hit, another smash for the crack Holland-Dozier-Holland unit. Trouble was, for Motown, the Isley Brothers had already left the label before this success. “The Isleys’ wild call & response songs “Shout” & “Twist & Shout” had been picked up by the British Beat Boom & the group were a little too rugged for the sophisticated Detroit sound. The first LP for Motown had heavy involvement from H-D-H but 3 of their songs were a little second-hand having already been hits for others. On the “Soul on the Rocks” LP (1967) the A Team were absent & , while talented people were around to produce, the Isleys were dissatisfied with with the material & promotion they received. Motown went back to an old hit “I Guess I’ll Always Love You” & it did well again. “Behind a Painted Smile” had not been considered as a single in 1967. By May 1969 it & other stomping Isley tracks were favourites in the Soul clubs. This dense, dramatic classic, a perfect blend of impassioned vocals & the driving Funk Brothers rhythm section (James Jamerson, Benny Berrigan ? ), Joe Messina’s fuzz guitar became a Top 5 hit. The Brothers Isley were more popular in the UK than at home until “It’s Your Thing”, on their own T-Neck label, scored their biggest sales yet. A couple of years later resistance was futile as their expanded family band just took over. Oh yes ! The Elgins only got the one shot at Motown. The LP “Darling Baby” (1965) was produced by Brian Holland & Lamont Dozier, again featuring song’s by Detroit’s most talented songwriting trio with 4 covers of Atlantic hits as the filler. The title track & “Heaven Must Have Sent You” were R&B hits but there was to be no second LP from the group. In 1967 singer Saundra Mallett Edwards left the group & though she was replaced just look at the clip, from “Swingin’ Time” & you will see why she was missed. “Swingin’ Time” was a music show out of Windsor, Ontario, just across the river from Detroit. They got some great Motown acts as guests & the surviving Y-tube clips are worth searching out. By 1970 columnist Dave Godin had identified a North-South divide in UK Soul fans. While Funk began to carry the swing in the USA “Northern Soul” fans were more interested in crate-digging for obscure uptempo dance records from the mid-60’s. In 1971 the 6 year old “Heaven Must Have Sent You” was re-released, broke out of the clubs & was a Top 3 hit. In the Spring of 1971 Stevie Wonder released “Where I’m Coming From”, Marvin Gaye “What’s Going On”, Diana Ross, no longer a Supreme, was filming “Lady Sings the Blues” & plans for Motown to leave Detroit for Los Angeles were in advanced stages. The success of “Heaven Must…” showed that the public still wanted to dance & sing along to those classic Holland-Dozier-Holland, themselves no longer with the label, songs OK…♫ I’ve cried through many endless nights, just holding my pillow tight. Then you came into my lonely day, with your tender and your sweet ways. ♫ Smashing ! Canadian R Dean Taylor signed for Motown as a songwriter & recording artist in 1964. The records didn’t go so well but writing credits kept his name in the frame. There was a Marvelettes track with Norman Whitfield, a Brenda Holloway A-side with Frank Wilson. In 1967 “7 Rooms of Gloom” was the 4th single from the 4 Tops greatest LP “Reach Out”. It was the B-side, “I’ll Turn to Stone”, with the credit Holland-Dozier-Holland-Taylor (that’s good company to keep), which became a dancefloor favourite. A dramatic self-produced single from that year, “Gotta See Jane”, written with Brian Holland, failed at home but reached the UK Top 20 in 1968. With the departure from the label of the great trio Motown’s production staff had to step up to keep the hits coming. Taylor had co-credits on two singles by Diana Ross & the Supremes, “Love Child”, a #1,& “I’m Living in Shame”. You know more R Dean Taylor songs than you thought you did. In 1970 R Dean moved to Rare Earth, a label Motown set up for white artists. He scored with “Indiana Wants Me” an odd song about a murderer chased & caught by the police. It was his only US success but we hadn’t finished with him yet in the UK. 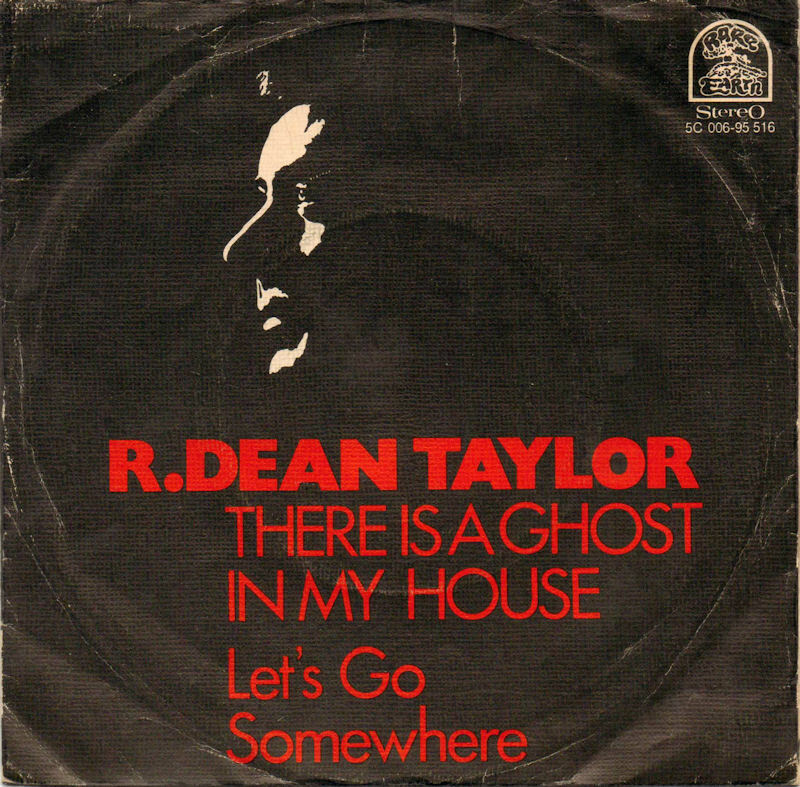 Back in 1966 he had recorded “There’s a Ghost in my House”, another track with that impressive H-D-H-Taylor credit. Another irresistible Motown stomper that went missing at the time, it became a staple of Northern Soul DJ sets & reached the Top 10 in 1974. That’s 3 Top 20 hits for R Dean Taylor, an individual Motown talent. All 3 of these songs were resurrected by the Northern Soul scene but you didn’t have to be a regular at the Casino or the Twisted Wheel to appreciate & enjoy them. The scene was big in the early 1970’s, these rediscovered breakout hits received wider radio play & sold to a bigger audience. We were listening to Sly, Marvin, the Isleys, Funkadelic, the new sounds of Black America but the fact remained that you could not beat a bit of classic Tamla Motown to make your weekend go better. Mo’ Motown. Clean Out Of Sight. In May 1965 Tamla Motown started to release records on their own UK imprint. Now we all love a list but the Motown discography really is a thing of wonder. The first three 45s are “Stop In The Name Of Love” (Supremes), “Nowhere To Run” (Martha & the Vandellas) & “Ooh Baby Baby” (Miracles). It’s like…how did they do that ? The label did take a little time before it became the nonpareil Hit Factory. That first year saw releases by Choker Campbell’s Big Band, crooner Billy Eckstein & rockabilly Dorsey Burnette. I’m sure that these, like others who did not trouble the chart compilers, had merit but they were hardly “The Sound Of Young America”. There were other acts who were around, who even made a significant contribution to the label, but are not considered to be in the pantheon of great Motown artists. And here’s one now. A new year, a new name for the Elgins who recorded their first Motown release as the Downbeats. The female singer, Saundra Mallett was new too. The band were produced by Holland & Dozier & got first shot at some pretty good songs by the ace team of Holland, Dozier, Holland. Both “Heaven Must Have Sent You” & “Put Yourself In My Place” were Top 10 R&B hits in the USA & were absolute dance floor fillers in the UK. 1966 was an annus mirabilis for H-D-H but I’m surprised that “Heaven” was not held back for Diana, Mary & Flo’ because it is an absolute Motown classic stomper. A 3rd single from their only LP, the lovely “I Understand My Man”, bombed & the Elgins were over by 1967. Thanks then to “Swingin’ Time”, a music show out of Windsor Ontario just across the river from Detroit, for capturing this charming, pure 1966 Motown moment. Five years later the Elgins had hit records in the UK when re-issues of these golden oldies captured the next generation of youth clubs & soul dances. Top stuff ! Brenda Holloway in May 1967, in colour…oh yes ! Berry Gordy Jr signed Brenda to his label when she was just 17. She was from California & chose to remain on the West Coast rather than re-locate to Detroit. This independent streak did not always serve her well but a hit record on her first go around positioned Brenda as the female solo star to replace Mary Wells, the “Queen of Motown” who left the label in 1964. “Every Little Bit Hurts” is an emotional blockbuster of a song, a soul classic. Brenda toured with the Beatles in 1965 but Smokey Robinson gave her Wells’ old songs to record & the hits were not repeated. By the time “Just Look What You’ve Done” was recorded she had her problems at Motown. Her self-determination was regarded as trouble-making & more amenable acts got more promotion. The track, written by Frank Wilson & R. Dean Taylor, is vintage Motown & sold quite well. Brenda wanted more &, in 1968, walked out of a Detroit recording session, returned to Los Angeles & never went back. To say that Brenda is looking good in this clip is a statement of the bleeding obvious, She was a striking woman & 40 years later she still is. We know because her music has not been forgotten, especially around the UK Northern Soul scene. “Every Little Bit Hurts” has been recorded by Aretha & Alicia. Here in Britain the Spencer Davis Group, the Small Faces & the Clash have paid their respects. After Motown Brenda almost retired. It was the interest from the UK which encouraged a return to performing & a chance to see an artist who made some great records but who’s potential was perhaps never fully realised by the label. In 1966 Jimmy Ruffin got the break that all singers looked for. His recording of “What Becomes Of The Broken Hearted” caught the wave of Tamla tenderness & became a world-wide smash. Jimmy had passed on an offer to become a Temptation to his younger brother David. It seemed that he had done the right thing. “I’ve Passed This Way Before” was the next along. The same team of James Dean & William Weatherspoon (without arranger Paul Riser) wrote the song & it made the Top 20 but Jimmy struggled to establish his own identity as a performer. There were diminishing returns for subsequent 45s. In 1970 the Ruffin Brothers made an LP together which can still make you sit up & listen to it’s sweetness & passion. Jimmy remained at Motown & around 1970 records which meant little in the US became big hits in the UK. This is because Jimmy had not been forgotten. Over here we do try to value quality over the latest bright shiny thing being waved before us. It is also because “I’ll Say Forever My Love”, “Farewell is a Lonely Sound” & “It’s Wonderful (To Be Loved By You)” were all good songs, well produced, that were certainly worth having around. Jimmy Ruffin, like Edwin Starr & others, moved to England because there was money to be made & a greater appreciation of the enduring worth of his music. In this country we can be a little obsessive & excessive with regards to Soul Music. These songs & artists, from a halcyon time for African-American music, deserve to be remembered alongside the pantheon of the Supremes, Marvin, Stevie, Smokey & the rest. It’s a freaky, geeky job but someone’s got to do it. The Northern Soul scene in the UK has prolonged the careers of artists who would struggle to call what they used to do a career. There has though been a tendency to value rarity as much as quality. Only 250 demo copies were pressed of Frank Wilson’s Motown 45 from 1965. it is a fine record but £25,742 ($40,000) for a copy ? I’ve got it on CD ! Many great tracks have been excavated & played out by DJ obsessives but I find it does help to get back to where you once belonged. To renew contact with the soul greats, the artists who’s music put the bug in your ear & led you down the road to infatuation. Here’s four of them now. In 1965 “the Sound of Young America” started out of West Grand Boulevard, Detroit (Hitsville USA) & spread to the rest of the world. For 3 consecutive years the Four Tops had 4 hit singles. The group were not too young, they had worked together for a decade & were all coming up to 30. They were though the epitome of the Motown sound. Holland-Dozier-Holland…check, the Funk Brothers’ indefatigable insistence that we should dance…check, as Marvin sang, a “Pride & Joy”, yup, it was all there. The first hit, the impassioned “Baby I Need Your Loving”, was pinched in the UK by some Mersey magpies. The subsequent run, which included “The Same Old Song”, were left alone, any approximation of these perfect, floor-filling stompers would just be gimpy. Their records only reached the lower Top 30 over here but were the toppermost in every club in the country. What a clip this is. The Tops, Duke, Obie, Lawrence & Levi, are smart casual here, instead of the usual matching band uniforms, they look the better for it. There’s an off-the-cuff feel about the presentation, certainly compared to the precisely drilled choreography of the Temptations. Of course Levi Stubbs is lead vocal, centre stage but he’s happy singing & dancing with his boys. Sugar pie, honeybunch, this song just flows with a simple, urgent logic.This is how a great pop song sounds & I have to smile, I can’t help myself. In 1966 Motown & the Four Tops went into overdrive. There was a lot of competition but “Reach Out, I’ll Be There” was not just a great soul song, it was alongside “Good Vibrations”, “Sunny Afternoon”, “Eleanor Rigby”, stuff like that. The group were #1 in the world & they consolidated their primacy with a run of subsequent 45s which were, as I believe the young Americans say, awesome ! I remember a friend, a vocalist of ability who has made his own albums, hearing “Standing In The Shadows Of Love” for the first time & being stopped in his tracks. I could have picked any of these hits but “Bernadette” just never pales, the pause before Levi returns for the fade-out…perfect. Here the boys are suited & booted, smart guests in American lounges of a Sunday night. It’s Levi’s show now, the songs’ pleading lyrics encouraging him to strain his powerful tenor voice. The backing vocals were lower in the mix & Levi Stubbs can be remembered as a great male Motown voice with Marvin, Smokey & David Ruffin. In 1967 H-D-H, left Motown. The band needed new writers & new producers. The Temptations headed off to psychedelic soul but that was never going to suit the Tops. There were different producers, including the very same Frank Wilson. A new policy of taking new, classy pop songs by young writers brought them hit versions of Left Banke’s “Walk Away Renee” & Tim Hardin’s “If I Were a Carpenter”. The band were making some classy cabaret soul, Levi could ease off & still deliver a world class vocal. Now the hits were bigger in the UK, “Do What You Gotta Do” (1969) is a Jimmy Webb song, an early one from when the young tunesmith would write true stuff down in songs. Nina Simone recorded the definitive version of this song but Levi does his thing &, while it may be from the middle of the road, he does it well. The band left Motown in 1972 & they did have a few more hits. Man, they had a lot of credit in the bank after a decade of success. If you didn’t rate Levi Stubbs then you were wrong (Feed Me Seymour ). The 4 friends continued to perform together until 1997, welcome all over the planet. Only the unfortunate death of Lawrence Payton broke the sequence. Now Duke Fakir is the only surviving member but when you play those Motown records they are all still around. I am not posting this without including this performance at the RFK Stadium in Philadelphia on July 13 1985. While Phil Collins was being tiresome on both sides of the Atlantic on the same day. While Queen’s (spit !) posturing pantomime pomp-rock pretence embarrassed us all. The Four Tops appeared at Live Aid (between the Hooters & Billy Ocean !) & they were this brilliant. Tamla Motown’s modus operandi has been compared to the mass production lines of the auto factories of the company’s home city, Detroit. Such was the expertise & efficiency of all aspects of Motown that their bright & shiny product, “The Sound of Young America” had soon sold exactly 2.5 gazillion records. Previously both singers & songs were here today, gone tomorrow but a new industry was being forged. The young creative artists saw that this music thing could be a career. The rules were being made up as they went along but , somewhere, there was a big pile of money. In the Summer of 1967 the Motor City was burning after 5 days of riots. Around the same time there were members of Berry Gordy’s Tamla tribe who were looking to get their share & to get paid. The composers/producers, Lamont Dozier & brothers Eddie & Brian Holland were a very potent triple threat. They wrote an incredible 25 #1 hits & in 1967 were disputing the royalties they had received. The split with Motown was a messy one. 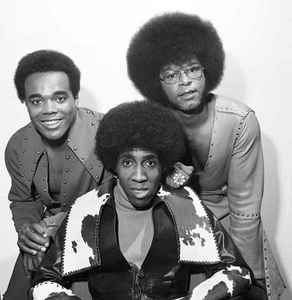 The trio staged a work slowdown & left in 1968 to work for Holland-Dozier-Holland Productions Inc. By 1969 their 2 labels, Hot Wax & Invictus, were back on the charts. In a converted Detroit cinema HDH & other talented writers attempted to replicate Motown’s success. Freda Payne had another US Top 20 hit with the anti-Vietnam war song “Bring The Boys Home”, banned by American Forces Network at the time & still rarely heard, it’s that good. The record was made by a team which included General Johnson, a man who was getting a second chance with Invictus & was giving it his best shot. General, I have just discovered, was writer & singer on “It Will Stand” a 1961 hit for the Showmen. Listening back it’s “Well, of course he was”. It’s a truly uplifting song…this or Jonathan Richman’s cover will set you right up for any day you start with it. He hooked up with producer Greg Perry & brought his new band to the new label. The Chairmen of the Board had some hits, more in the UK than the US, but were around in the years between those 60s TV pop shows & “Soul Train”. Surprisingly this odd clip of “(You’ve Got Me) Dangling On A String” is the only one I can find of them on the Y-tube. It’s a good song but the film is funny rather than funky, cheesy when it needs to be greasy. Hell, it’s a proper single, another irresistible call to do the funky chicken or whatever elese was the current thing. Their first & biggest hit was “Give Me Just A Little More Time” , an Edythe Wayne original (I do hope that there is a real Ms Wayne) produced by HDH & recorded using the Funk Brothers who were moonlighting from Motown for their old buddies. There were successes over on the sister label Hot Wax. In 1971 the hottest female group in the US were a trio from Los Angeles & the first signing to the label. Hmm-hmm…”Want Ads” by Honey Cone. Well hello Ms Jackie Browns ! “Wanted, young man single and free. Experience in love preferred, But will accept a young trainee”. Well I was in that, presumably long, line…still waiting. The trio, Edna, Carolyn & Shelly, had experience in Los Angeles girl groups (Edna Wright is the sister of the incomparable Darlene Love, Phil Spector’s voice of choice on many songs). They got together in 1969 & were the first signing to Hot Wax. 1971 was their year, gold records & “Want Ads” at #1. It is a perfect update of the Motown pop-soul formula, sparring with “I Want You Back” by the Jackson 5 as the twin peaks of a turn of the decade, feelgood hit. Not quite disco yet but you know that a change is gonna come. The song was written by Perry, Johnson & engineer Barney Perkins, I would be surprised if Ms Edythe Wayne did not contribute. By 1973 the Honey Cone hits has stopped but so had Holland, Dozier, Holland’s plans for their own independent label. It must have been difficult for the artists to become businessmen. HDH could hire capable people to manage their affairs but a hit single generates a heap of money very quickly. Getting & keeping a share of this heap can be a difficult thing. In 1973 Hot Wax folded with debt & cash flow problems while Invictus signed a distribution deal with Columbia. Of course we know now that Columbia’s fortune tellers had presciently predicted that pop music would come to be dominated & shaped by music made by black artists. HDH joined the other 2 prominent black independent labels, Stax & Philadelphia International as lambs lying down with the lion. By 1976 the entertainment titan, motivated by the dollar bill rather than creativity, had pressurised & controlled distribution, subsumed or cherry picked from the 3 famous labels. Conspiracy theory ? Hey sue me…I have no money. For some time the Tamla triumvirate separated when Lamont Dozier pursued a solo career. He was replaced but Holland, Beattie, Holland ?…Nah. When Invictus finally folded in 1977 HDH Records came around & control over the valuable back catalogue was established. As Pop left behind its juvenescence there was a rush to bestow lifetime awards & to establish Halls of Fame. Not a one, Rock, Soul, any kind of music you got, was able to overlook the lasting, still amazing, contribution made by these 3 outstanding talents. The Supremes’ story is now part of pop music’s DNA. The promotion of Diana Ross at the expense of her friends. The reaction of Florence to this marginalisation leading to her being dumped from the world’s leading female act & to a sad demise. It has become one of the folk tales of the 60s. Like the Beatles in Hamburg, developing a self-belief & a sound that would affect the world or the separation of Brian Jones from the group that he thought he led, it has been told & re-told from many different perspectives. We think we know the “truth” of these stories. We don’t need Carl Jung to come over & explain to us how a culture develops it’s own myths & legends. Well…”Forever Came Today”. What a great pop single this is. The third single released as Diana Ross & the Supremes burns with a slow fuse before building to a fine dramatic climax. The “Reflections” LP introduced a touch of psychedelic soul to the hit sound but this track eschews the gimmicks and excess of the title track. The restraint of the arrangement, in the verse the electric piano is joined by a tambourine as a lead instrument, adds to the power of the song. These were turbulent times at Hitsville & not just for the Supremes. Holland-Dozier-Holland, the writers responsible for the group’s amazing run of winners (10 #1 hits) were unhappy. They slowed their song production & were planning a future away from Motown. “Forever” was the last 45 they wrote for the girls. Recorded in 1967, released early in 1968, it was the first record of their’s to miss the top 20 since their success had begun & the first record to use session singers in place of the harmonies of “and the Supremes”. By the end of 1968 the Supremes were back in the top 10. Lamont Dozier & the Holland brothers had left Motown in a blizzard of suit & counter-suit. There are clips of the Supremes promoting their world-wide smash of the 1967 summer of love, “The Happening”, with Florence. In others Cindy Birdsong (wonderfully, her real name) had tip-toed into her place. Two singles later Ed Sullivan was introducing Cindy as part of a group who promoted all their releases on Sullivan’s prime time TV show. The group always had their best new frocks on for these performances. Anyone who wants a view of the range of 60s fashions only has to check on the Supremes’ photos. Whether dressed like Vogue models or in more “street” clothes they were never less than immaculate. The performance shows how Diana was now the focus. Her ambition can be criticized but she could sure sell a song. However, the Sullivan house band are not the Funk Brothers. This absence of groove makes for a pretty insipid result & perhaps influenced the song’s eventual sales. I have included this clip because it shows Mary Wilson at her best despite the exclusion from recording & the absence of her chidhood friend. The Supremes first came to the UK on the back of a 2nd hit with “Baby Love”. They appeared on Top of the Pops in quite low cut dresses & made an immediate impression on my young self. I had never seen beautiful, young Afro-American women on British TV before. It was Mary who made the biggest impression. Francoise Hardy, Monica Vitti, Julie Christie, for myself Mary Wilson joins that list of great 60s beauties. Diana can smile & over-emote , she can take the majority of the camera shots. Show me a clip of the Supremes in the 60s & I only have eyes for Ms Wilson…and there ain’t nothing I can do about it ! I have been looking around for a clip to show just how good the Supremes could be. The early appearances are in black and white. They often sang live with a white bread band making little effort to emulate the sound of the record because that would be impossible. I have settled on the breathless rush of “You Can’t Hurry Love”,often copied but never bettered. This is another great pop record from Tamla Motown.